We are a family run business established in 1991 and have since gained an incredible reputation throughout the Kent community. Our friendly, helpful and experienced members of staff are always on hand to offer advice when requested and take great pride in offering the very best animal feed around. Whether you have been searching for a specific flavour of dry dog food or exotic bird feed, we are the premier pet shop in Sandwich. 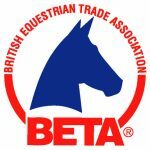 For information about events, special offers and ‘New In’ for the Second Hand tack Shop follow us on social media or sign up to our free newsletter and choose the animals you would like to receive helpful tips and advice on, as well as any special offers and events. Sandwich Animal Feeds © 2019. All rights reserved. Designed, Secured, Hosted and Optimised by www.Kent-Web-Design.com.